Daniel 11:21 [After the death of Syrian King Seleucus IV in 176 B.C., there] ar[o]se a vile person [Antiochus IV Epiphanes], [who] seize[d] the kingdom by flattery/slickness. 1 Maccabees 1:10 …he had been a hostage in Rome [since 190 B.C., when his father Antiochus III the Great lost most of Asia Minor to Rome at the Battle of Magnesia. Antiochus learned Roman manners and political skills during his 14 years in Rome, and probably returned to Syria with some Roman support and funding.] Dan. 11:22 [His Syrian enemies were] swept away with the force of a flood and broken, and also the foremost one [High Priest Onias III] of the [Jewsʼ holy] covenant. 1 Macc. 1:11 In those days lawless men came forth from Israel and misled many, saying, “Let us go and make a covenant with the Gentiles...” 13 …some of the people eagerly went to the king [Antiochus]. He authorized them to observe the ordinances of the Gentiles. 14 So they…abandoned the holy covenant. Dan. 11:23 And some [of the Jews] binding themselves with him, he act[ed] deceitfully, and r[o]se up and bec[a]me strong with a small nation. 2 Macc. 4:7-9 Jason, the brother of [High Priest] Onias [III], obtained the high priesthood by corruption, [paying a large bribe to Antiochus. :10 Jason then] shifted his countrymen over to the Greek way of life. …14 …the priests were no longer intent upon their service at the altar. 1 Macc. 1:16 When Antiochus saw that his kingdom was established… 17…he invaded Egypt… 18 …engaged Ptolemy [VI Philometor] King of Egypt in [the] battle [of Pelusium, 171 B.C. ], and Ptolemy turned and fled… Dan. 11:25 He [Antiochus] stir[red] up his power and his heart against the King of the south with a great army. And the King of the South [was] stirred up to battle with a very great and mighty army, but he [did] not stand… 1 Macc. 1:19 [Antiochus then] plundered the land of Egypt. 1 Macc. 1:20 After subduing Egypt, Antiochus returned in the 143rd year [170 B.C.]. He went up against Israel and came to Jerusalem with a strong force. 21 He arrogantly entered the sanctuary and took the golden altar, the lampstand for the light, and all its utensils[, 22-23 and everything else of value.] 24 Taking them all, he departed to his own land. = Dan. 11:28 While returning to his land [from Egypt] with great riches, his heart [was] moved against the holy covenant; so he act[ed], and return[ed] to his own land. 1 Macc. 1:29 Two years later [in 168 B.C. ], 2 Macc. 5:1 Antiochus made his second invasion of Egypt. Dan. 11:29 At the appointed time he return[ed] and [went] toward the south; but it [was] not like the former time or like the latter. 30 For ships of Kittim [a Roman fleet commanded by Popilius Laenus] c[a]me against him; therefore he [was] grieved, and return[ed] and [was] enrage[d] against the holy covenant, and so acted…and show[ed] regard for those who forsook the holy covenant. 1 Macc. 1:31 [Antiochus] plundered the city… 2 Macc. 5:14…80,000 Jews were destroyed…and as many sold into slavery… 15 Antiochus dared to enter the most holy Temple in the world, guided by Menelaus, who had become a traitor to the laws and to his country. 16 [Antiochus] took the holy vessels with his polluted hands… 17…not perceiving that the Lord was angered for a little because of the sins of those who dwelt in the city, and that therefore He was disregarding the holy place. 1 Macc. 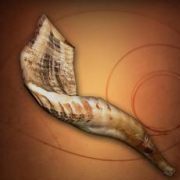 1:54 Now on the 15th day of Chislev in the 145th year [~Dec. 16, 168 B.C. ], they erected a desolating sacrilege [likely an idol of Zeus] upon the altar of burnt offering. Dan. 11:31…they…place[d] the abomination of desolation. 1 Macc. 1:54 And on the 25th day of the month [~Dec. 26, 168 B.C.] they offered sacrifice on the altar which was upon the altar of burnt sacrifice. 1 Macc. 1:41 …the king wrote to his whole kingdom that all should be one people, 42 and that each should give up his customs. 43 … Many even from Israel gladly adopted his religion… 52 they forsook the law…and they did evil in the land; 53 they drove Israel into hiding in every place of refuge they had. Dan. 11:32 Those who [did] wickedly against the covenant [Antiochus] corrupt[ed] with flattery; but the people knowing their God [were] strong, and acted so. 1 Macc. 2:1 In those days Mattathias…a priest of the sons of Joarib… 14 …and his [five] sons rent their clothes, put on sackcloth, and mourned greatly. 15 Then the kingʼs officers who were enforcing the apostasy [Gr. apostasia] came to Modein to make them offer sacrifice. … 19 But Mattathias answered and said in a loud voice… 22 “We will not obey the kingʼs words by turning aside from our religion to the right hand or to the left. … 27 Let everyone who is zealous for the law and supports the covenant come out with me!” 28 And he and his sons fled to the hills and left all that they had in the city. 29 Then many who were seeking righteousness and justice went down to the wilderness to dwell there… 42 Then there united with them a company of Hasidians, mighty warriors of Israel, every one who offered himself willingly for the law. Dan. 11:32 And those of the people who under[stood] instruct[ed] many; yet for many days they [were] enfeeble[d] by sword and flame, by captivity and plundering. 1 Macc. 3:1 [After the death of the aged Mattathias,] then Judas his son, who was called Maccabeus, took command in his place. [Chapters 3-4: three years of warfare between the Maccabees and the Syrians ensued, with the Jews coming to gain the upper hand, and driving the Syrians out of the land.] 4:36 Then said Judas and his brothers, “Behold, our enemies are crushed; let us go up to cleanse the sanctuary and dedicate it.” 37 So all the army assembled and they went up to Mount Zion. … 47 Then they…built a new altar like the former one. 48 They also rebuilt the sanctuary… 49 …made new holy vessels, and… 50 …lighted the lamps on the lampstand… 52 Early in the morning on the 25th day of the ninth month [~Dec. 24], which is the month of Chislev, in the 148th year [165 B.C. ], 53 they rose and offered sacrifice… 54 At the very season and on the very day that the Gentiles had profaned it, [the Temple] was [re]dedicated… 56 So they celebrated the dedication of the altar for eight days… 59 Then…all the assembly of Israel determined that every year at that season the days of the dedication of the altar should be observed with gladness and joy for eight days, beginning with the 25th day of the month Chislev. This is the eight-day Feast of Dedication (John 10:22), also called Hanukkah, still kept by the Jews to this day.